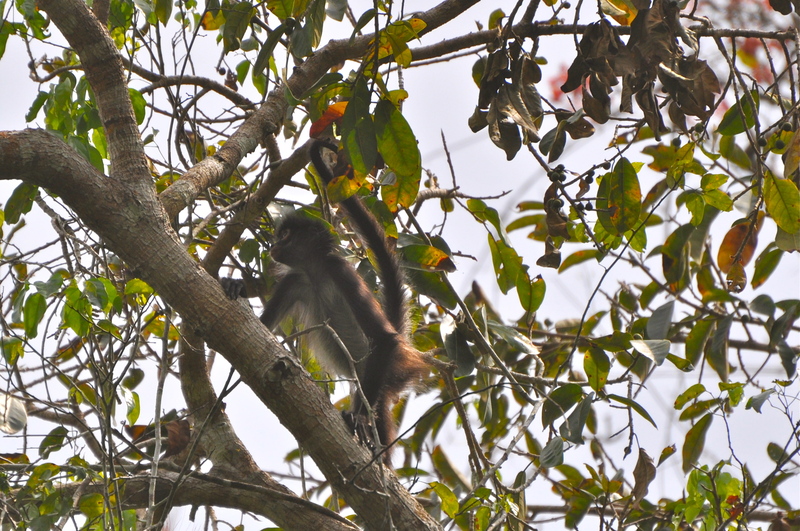 Naked Germans and screaming monkeys make birding in Tikal exciting! Well, the birds are exciting too. It’s just that I didn’t plan on the naked Germans in our hotel pool and the screaming spider monkeys that were terrified out of their minds while a dramatic wind storm swept through. 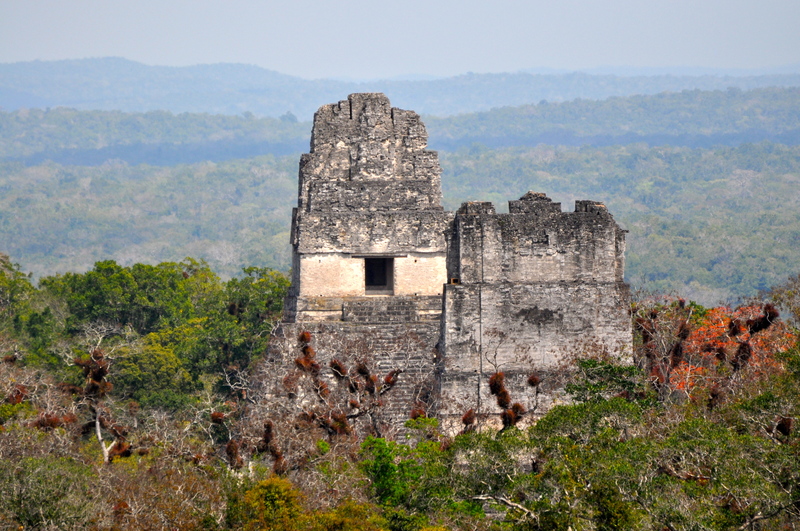 During our weeklong stay at Crystal Paradise in Belize, we added an overnight stay in Tikal, Guatemala to see the ruins and to get in some more birding. I loved the handoff by our guide at the border. Our guide at Crystal Paradise drove us to the border, walked us through Immigration up to the counter, and waiting for us on the other side was our driver who would drive us to Tikal. Easy peasy. That’s how I like border experiences to go. 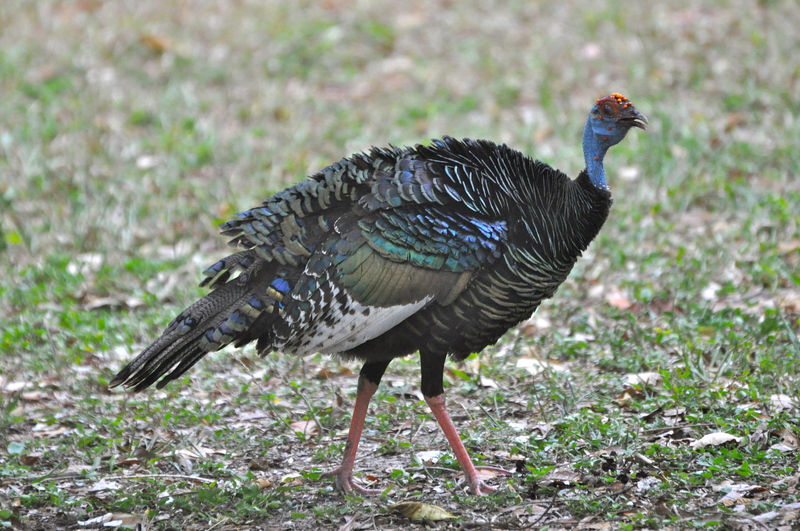 As our van began to approach the park and our guide told us to look for the Ocellated Turkey I became very excited and hopeful to see one, since the Ocellated Turkey would have been a lifer for both Steve and me. 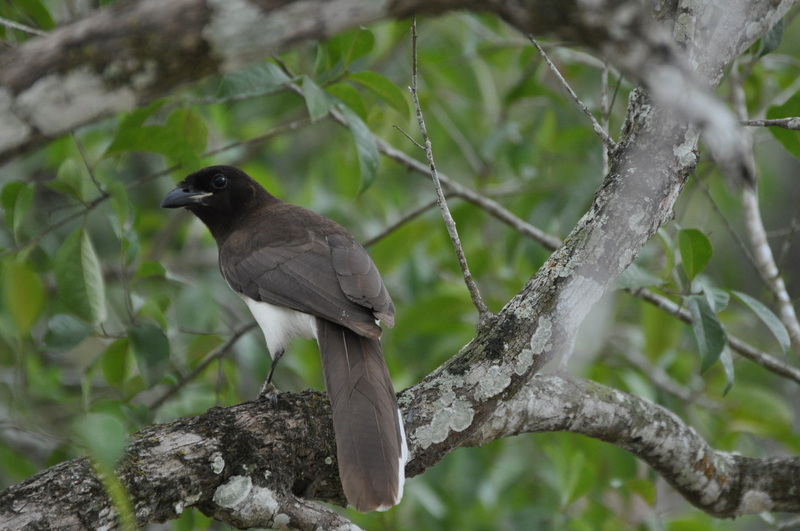 They’re uncommon because of hunting and nowadays they’re mostly found in areas where hunting is not allowed, such as National Parks. It’s because of the safe haven of National Parks that they’ve become quite tame. We saw our first Ocellated Turkey, and then another, and another. In fact, they were crawling all over the place! But I never tired of seeing them. 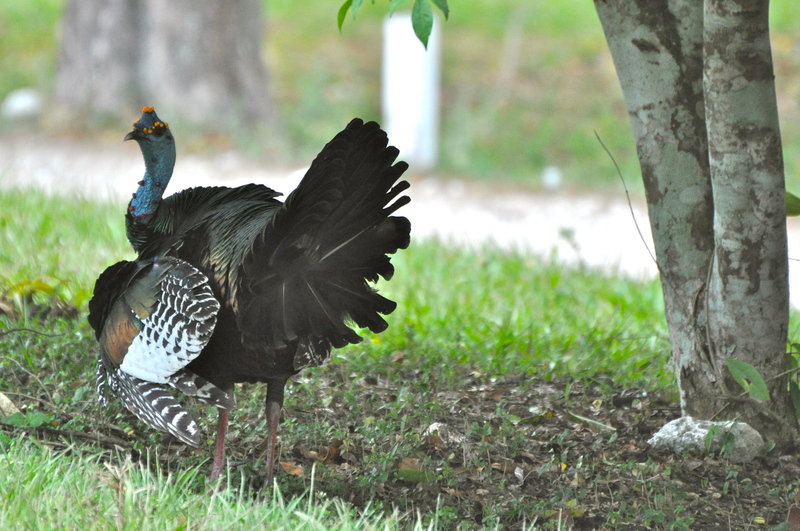 The colors are spectacular and I enjoyed watching the Tom turkeys make a booming sound before displaying. 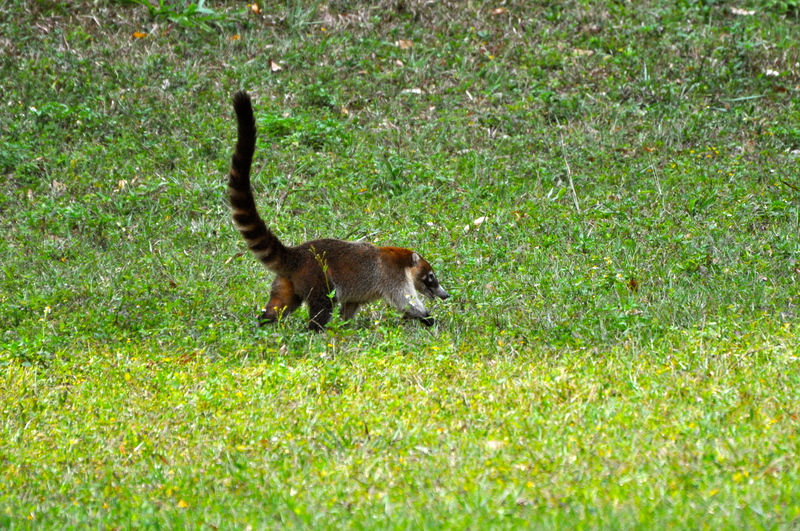 There’s probably a restraining order against me at Tikal now, as I spent most of the afternoon stalking these guys. 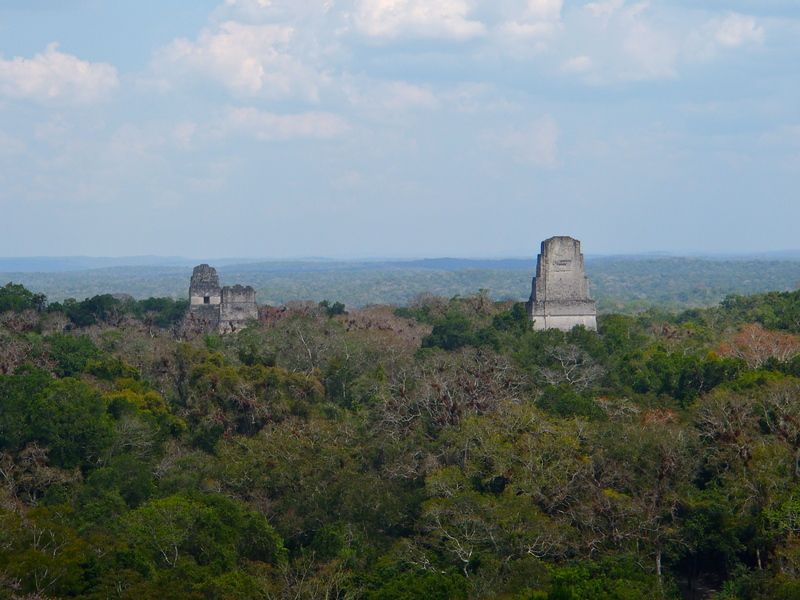 In these Mayan ruins there is a lot of wildlife and bird life due to the fruit trees. 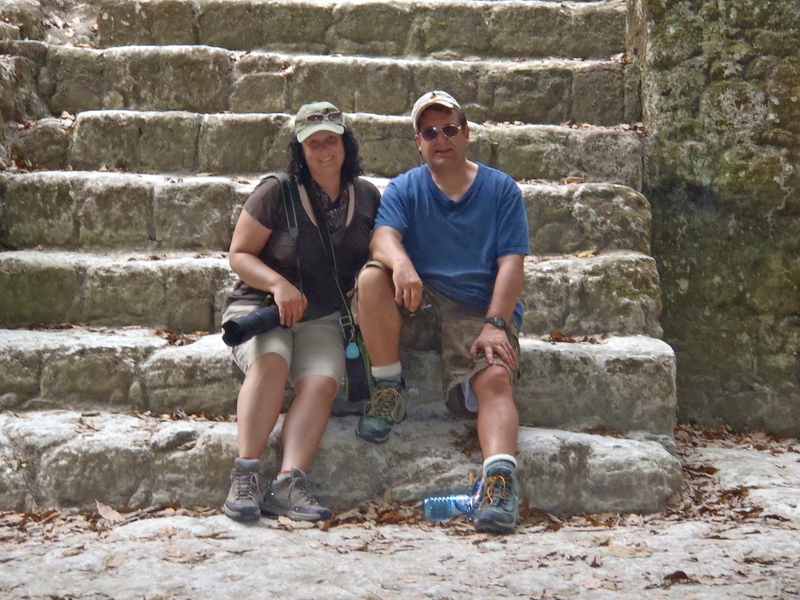 We have he Mayans to thank for that who either planted them or dropped seeds, so Mayan ruins are a pretty fantastic place for birding. 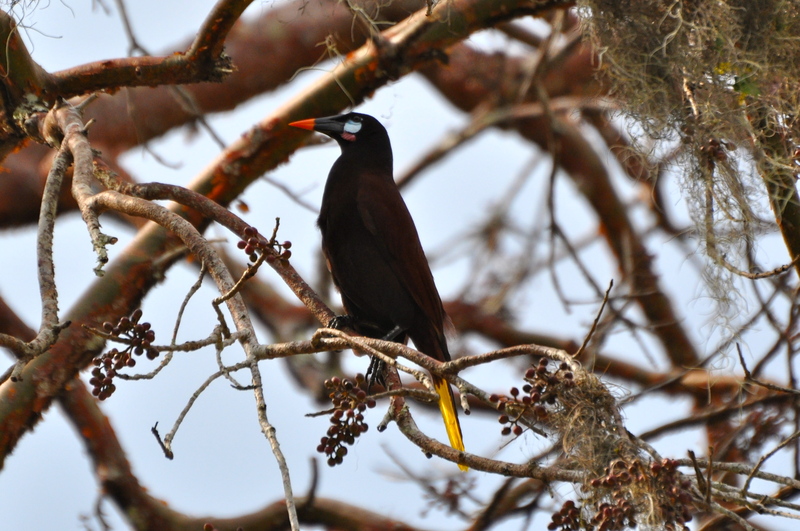 Take for instance the Montezuma Oropendola (another lifer!) 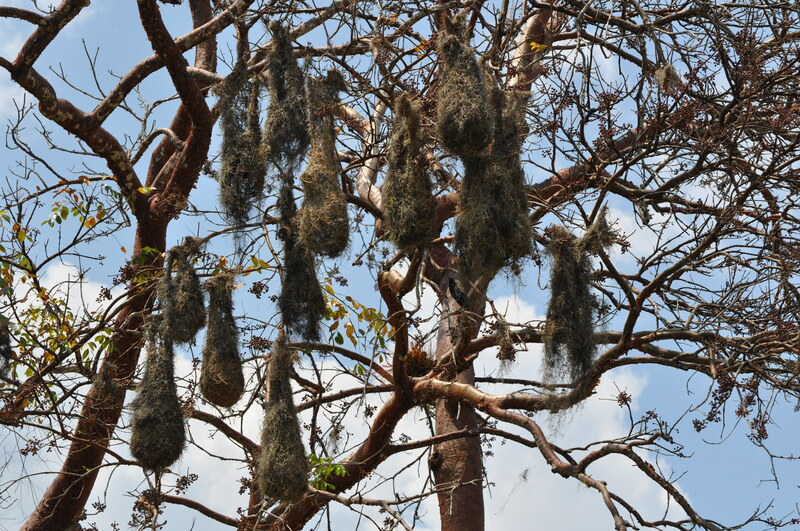 I love this interesting, beautiful bird as well as its fascinating nest, which typically hangs in a group. The Oropendolas were also all over the place and it just killed me to see tourists not even pay attention to them. A coatimundi, yes. Monkeys, yes. 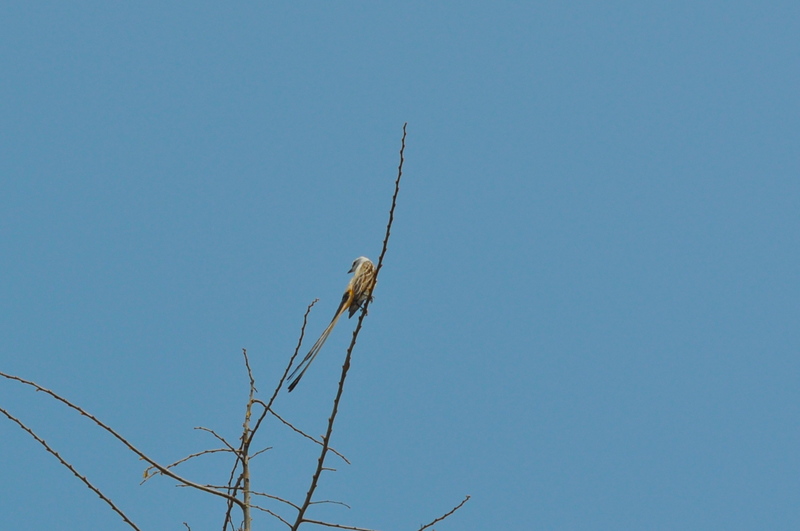 But few got excited about the birds. Sigh. Toward the end of the day the wind started to pick up and our Guide of Tall Tales became very worried and urged us to get out of the park–and quickly. This time I believed him. Branches were falling all over the place and I was getting a little scared, to be honest. 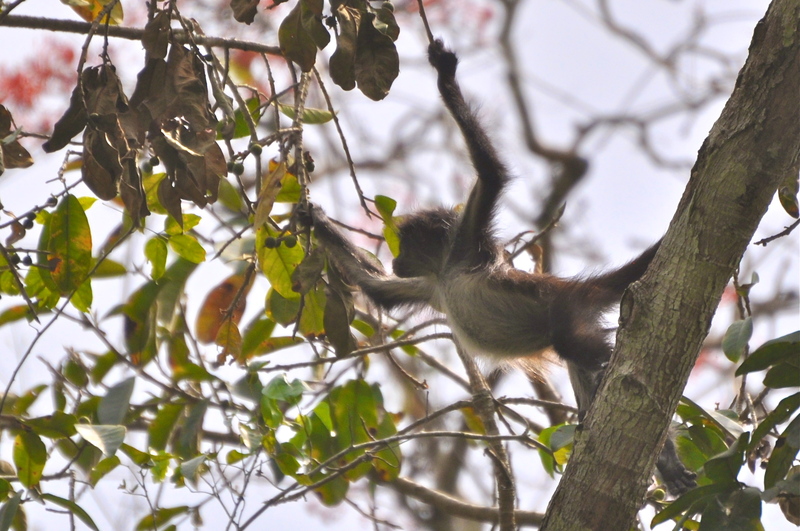 So were the spider monkeys, which were screaming and squealing at the top of their lungs. If ever there was a sound track for scary moments in the jungle this was it. We made it out of the jungle and out of the park safely. I imagine the monkeys were just fine too. 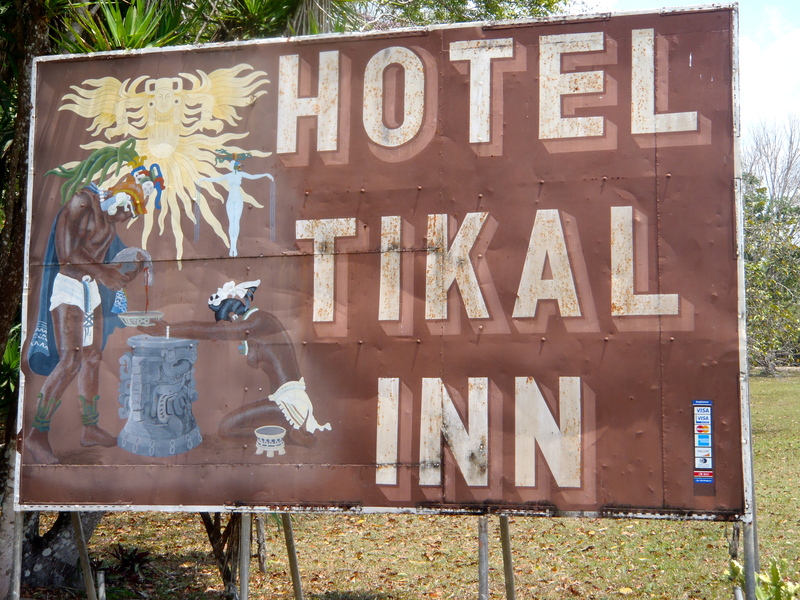 Loved our hotel that was right smack dab in the middle of Tikal National Park, aptly named, Hotel Tikal. 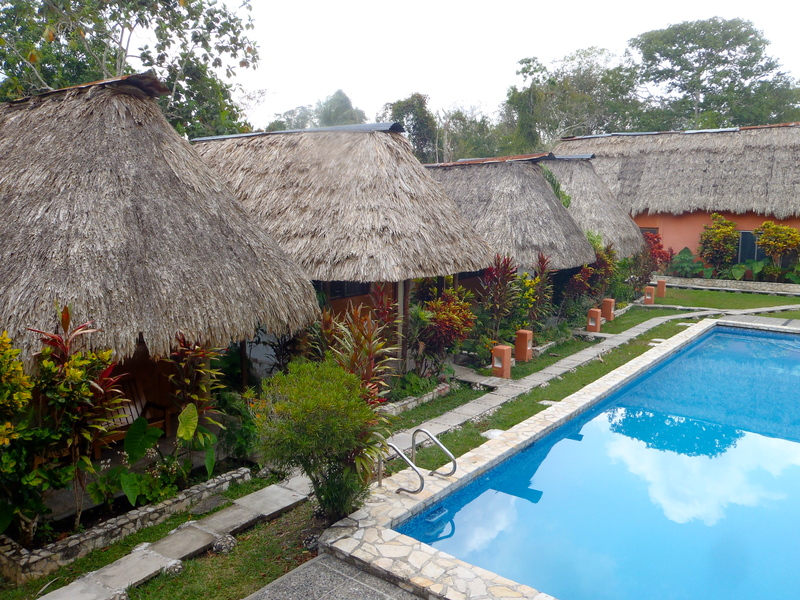 Cute thatch-roofed rooms and best of all, a pool. Trouble was, there was a group of naked Germans who were also guests and they were cannon-balling into the pool. “Of course. That makes sense.” he said. But we could deal with all that. As long as there’s a comfortable bed, a hot shower, meals and drinks, we’re fine. But naked Germans I could do without. 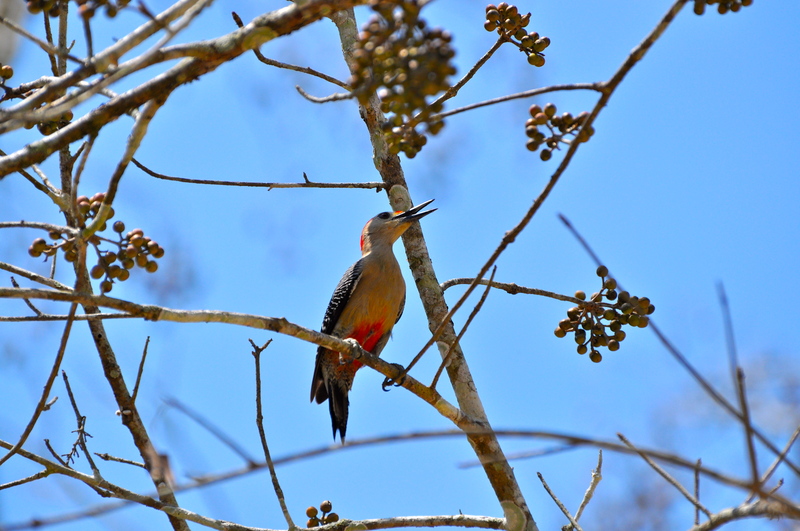 Check out more photos from our Tikal, Guatemala birding adventure. Click on any photo in the gallery below and it will take you to a slide show where they look even prettier. 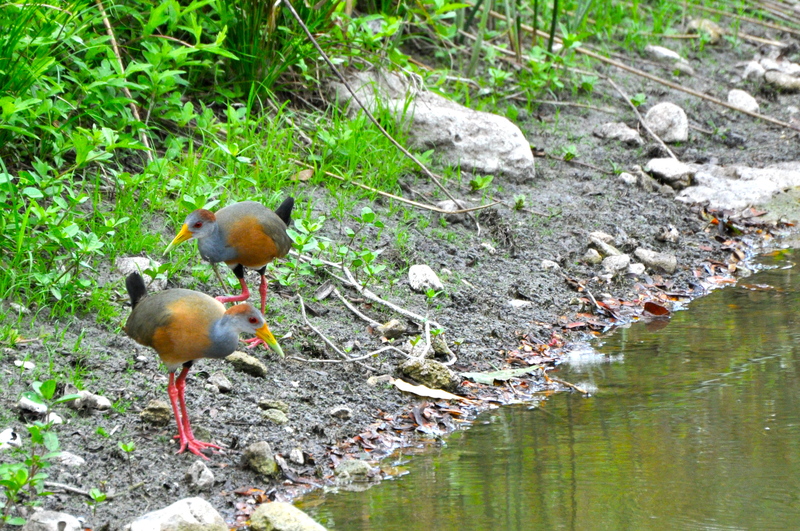 Sounds like a lot of fun…Belize is high on my list of places to bird. 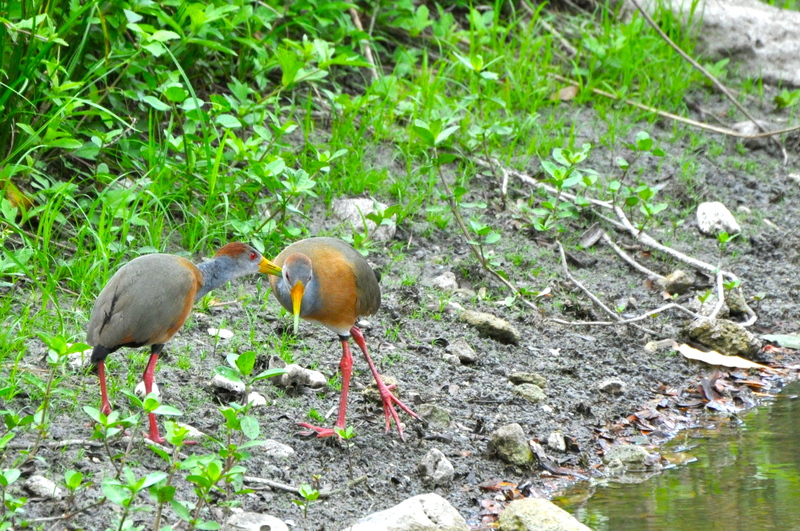 Great shot of the allopreening rails! 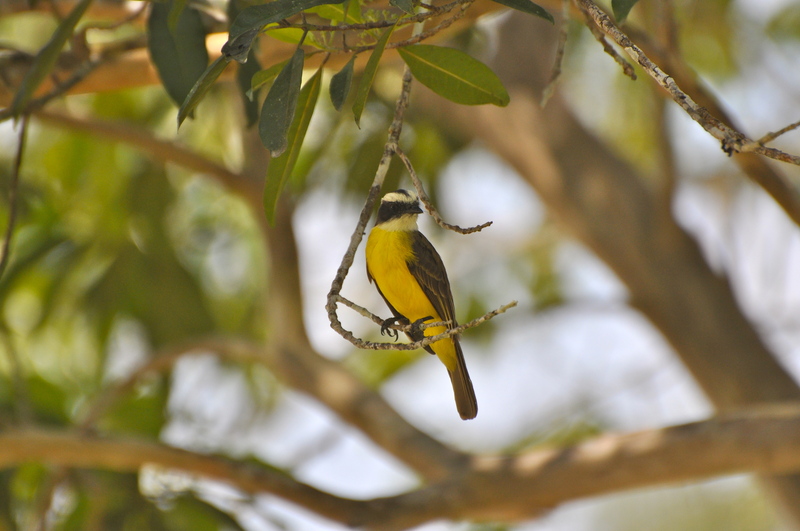 The flycatcher, while indeed having a forked-tail, is a Scissor-tailed Flycatcher. Wonderful post in every way – love that turkey! Thanks! I have to say it’s probably the prettiest turkey I’d ever seen. I love the Oropendola’s wacky call! 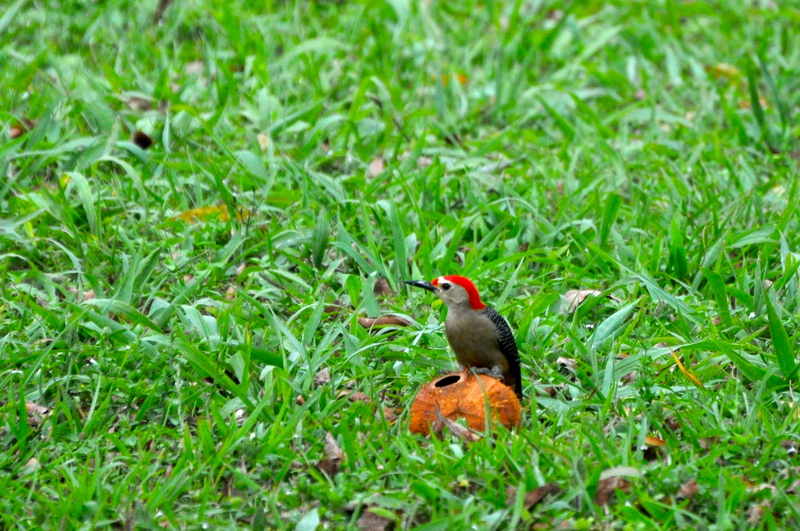 I didn’t see it much but heard it often in the San Lorenzo cloud forest area of Costa Rica. Hey, so glad you found my other blog here! The Oropendola is such a great bird!